Spinach is a super food and commonly called as ‘Palak‘ in Hindi, ‘soppu’ in Kannada, ‘Cheera’ in Malayalam, ‘Koora’ in Telugu and ‘Keerai’ in Tamil. It contains an abundance of minerals, vitamins, and antioxidants. The nutrition-rich leafy vegetable should be a part of your child’s healthy diet as it helps in physical development and prevent diseases. Also, spinach is known for its versatility that you can give them to kids in many ways. Here are some ways to include spinach in your baby’s diet. 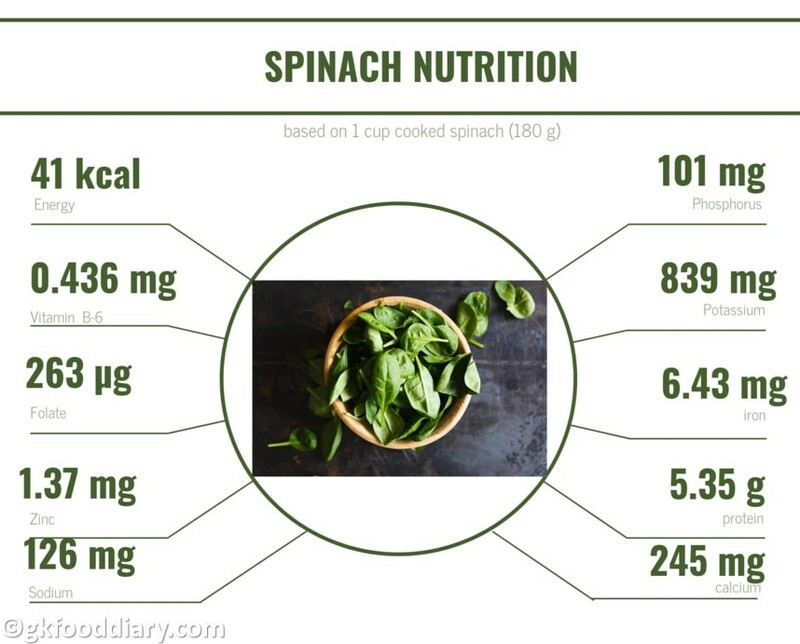 Read more to know information about the nutritional benefits of spinach, how and when to introduce spinach to the baby. 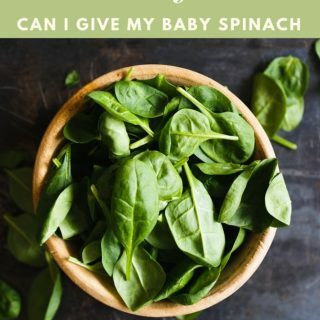 You can introduce spinach to your baby from 10 months. You can also begin spinach earlier, but ten months is ideal for baby to digest spinach easily. 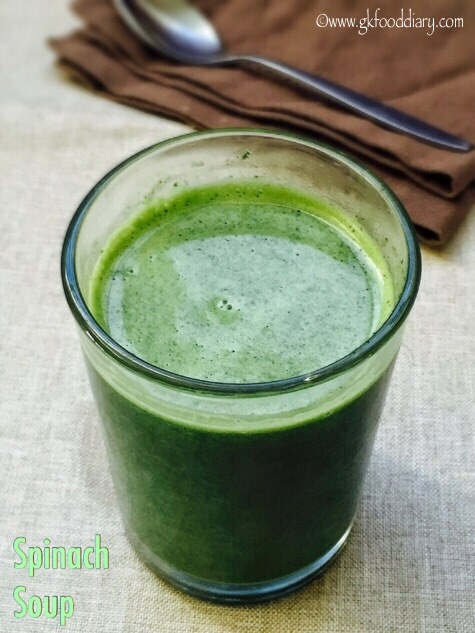 When you start spinach, start with a small amount of spinach puree or spinach soup at daytime. If the baby shows an allergic reaction, discontinue feeding it and consult your baby’s doctor. Make sure the spinach is thoroughly washed, stems are removed and cleaned before preparing the baby food. Gradually you can start including other spinach recipes. Restrict spinach to your baby weekly twice or thrice as too much of it may not be suitable for babies. Choose fresh and tender spinach with bright green leaves. The stems should have no signs of yellowing, and the leaves should not be wilted or bruised. Buying organic spinach is recommended for baby food as non-organic spinach varieties may be contaminated with pesticides. After purchasing spinach, place them in a plastic bag and store them in the refrigerator. It keeps well for five days if stored properly. Don’t wash the spinach before storing in a fridge. Many varieties of spinach are available across the world. Its always better to choose local varieties of spinach available in your area. Here are some popular spinach varieties that are good to start when you introduce spinach for babies. Spinach is useful for babies with less appetite as it is easily digestible. It provides essential nutrients which are vital for the growth of the baby. Antioxidants in spinach are suitable for growing children’s muscles. Vitamin A in spinach is beneficial for eye health and helps to improve children’s eyesight. Spinach is loaded with potassium which helps maintain brain function and boosts concentration. Calcium present in spinach contributes to good bone health. The folate content in spinach helps in the development of the nervous system. Spinach benefits to boost the immune system of kids as its rich in Vitamin C.
Rich in Vitamins and minerals that benefit skin and hair for your baby. 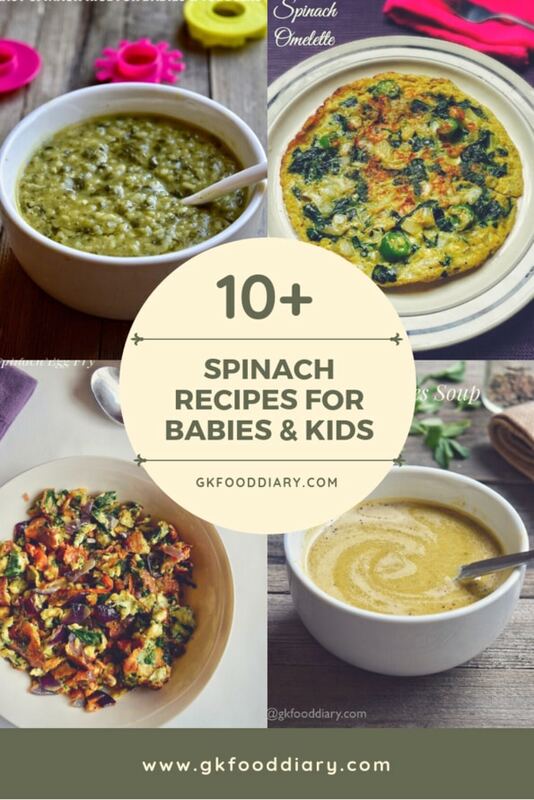 Here are some delicious recipes to include spinach in your baby’s diet. If you have trouble including spinach in your children’s diet, then you should try this delicious tasting spinach soup. It is effortless to prepare and tastes so good. I am sure kids will not say no to this tasty spinach soup. 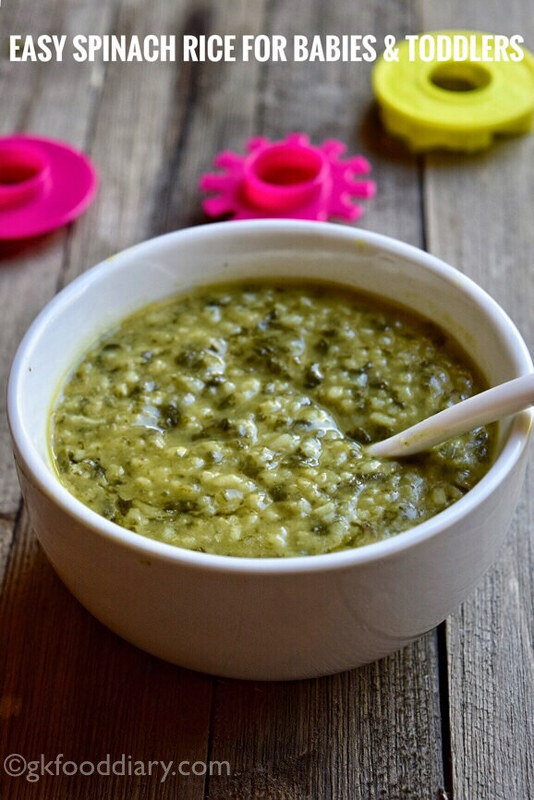 Easy and quick lunch recipe for babies and toddlers made with rice, lentils, and spinach. 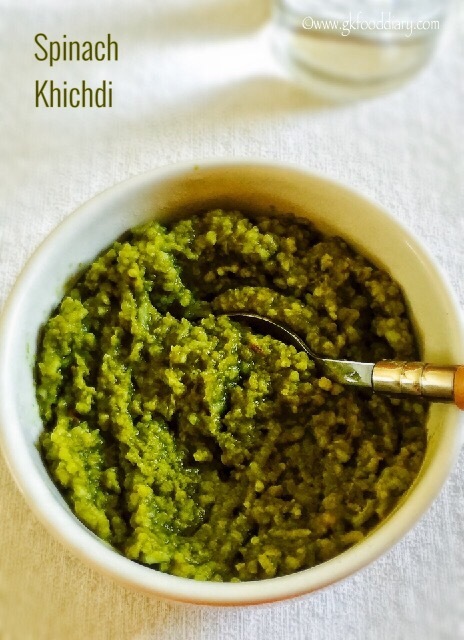 This spinach khichdi is a healthy and tasty option to add them to your baby and kids menu. Easy, quick and healthy recipe with eggs and spinach. 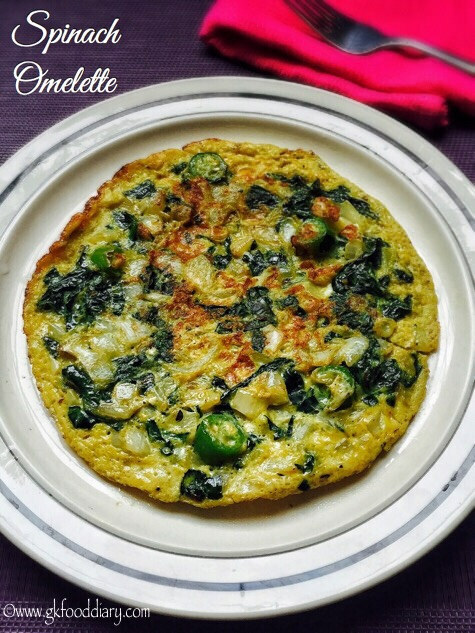 You can give this spinach omelet to babies from 10 months as finger food. Easy, quick, one nutritious pot meal made with a pressure cooker. It’s ideal for babies from 10 months after introducing rice, toor dal and spinach separately. 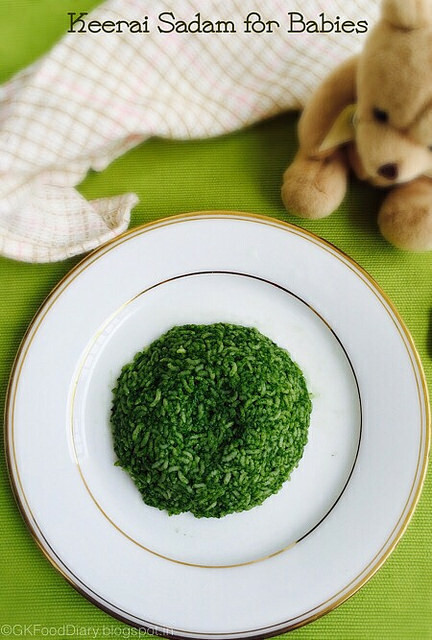 Nutrition rich, simple and healthy lunch recipe for babies with Spinach Puree and rice. Scrambled eggs recipe with spinach, eggs, onion, and cheese. 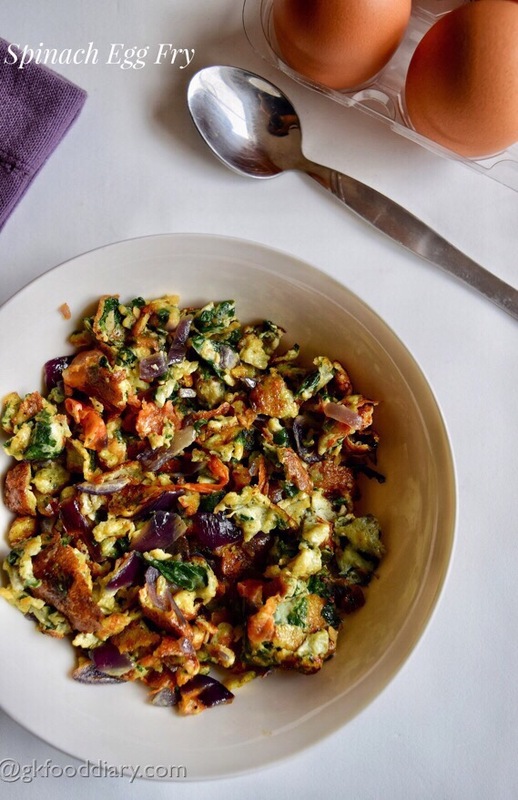 Spinach egg fry is a healthy meal or snack option loaded with protein, vitamins, and iron. Its a real winner recipe with kids and everyone else as it tastes so good and flavorful! Drumstick leaves can be included in kids diet in the form of soup, dal, sambar, curry, etc. This drumstick leaves soup is one of the easiest ways to add these healthy leaves and can be given to babies form 10 months. Fenugreek leaves are loaded with fiber, iron, and vitamins. It is suitable for kids with less appetite and breastfeeding moms. 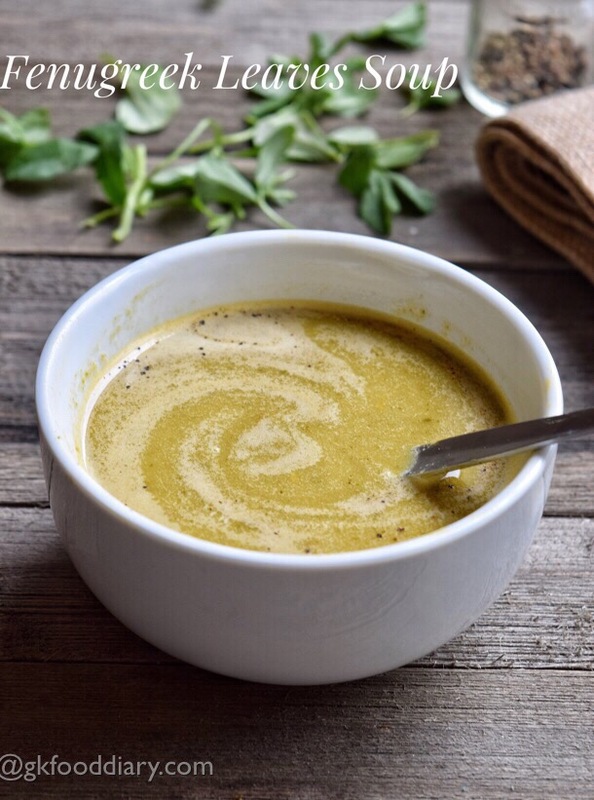 This Fenugreek leaves soup is one of the easiest ways to add these healthy leaves and can be given to babies form 10 months. Healthy rice variety with Spinach, vegetables and mild spices! Perfect for the lunch box! 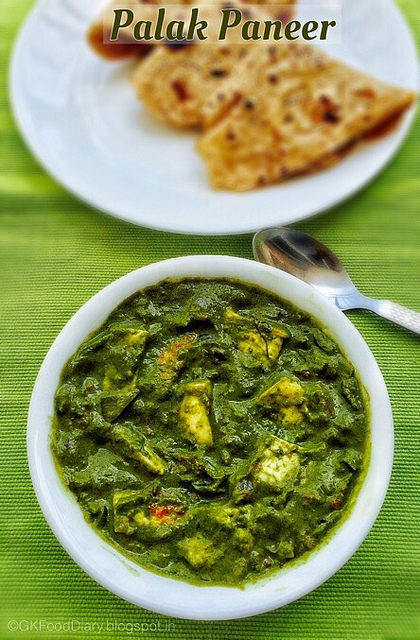 Easy gravy with Palak (Indian spinach) and paneer. It has a smooth and creamy consistency, and the paneer cubes will melt in mouth while eating. 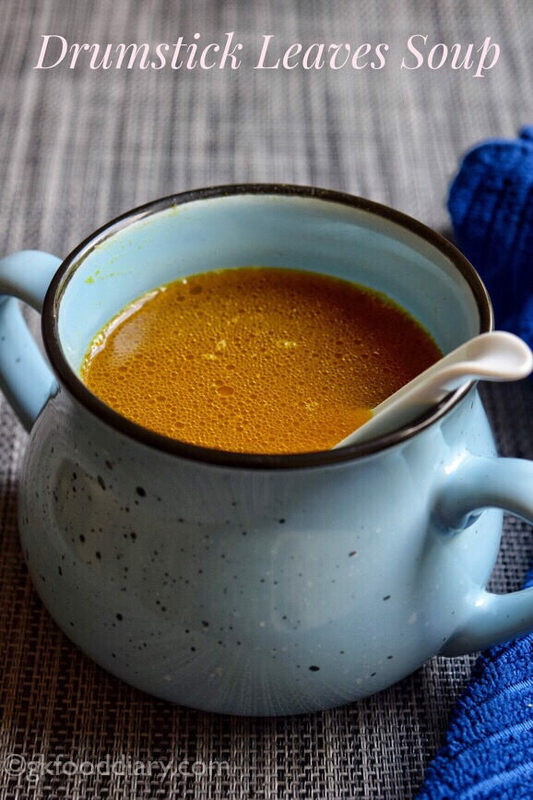 This gravy is even apt for the spinach haters, and they will change their mind once they taste this. 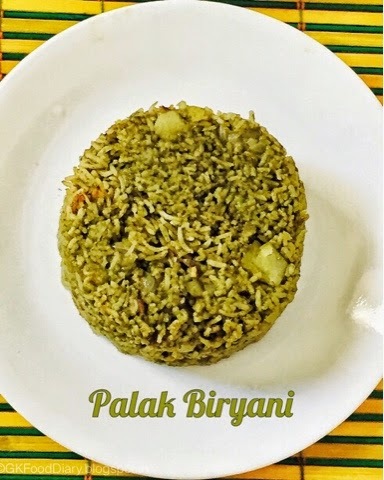 Aromatic and easy biryani with Palak (Indian Spinach) and potatoes/aloo. It’s a nice variation to usual spinach recipes, and it is the best way to make kids to eat greens. 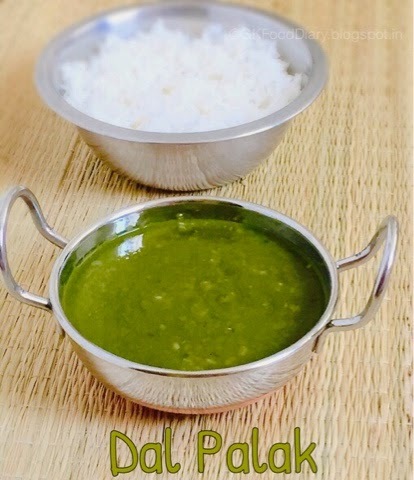 Easy gravy with Palak (Indian spinach) and moong lentils. It goes well with steamed rice and Chapati/Roti. 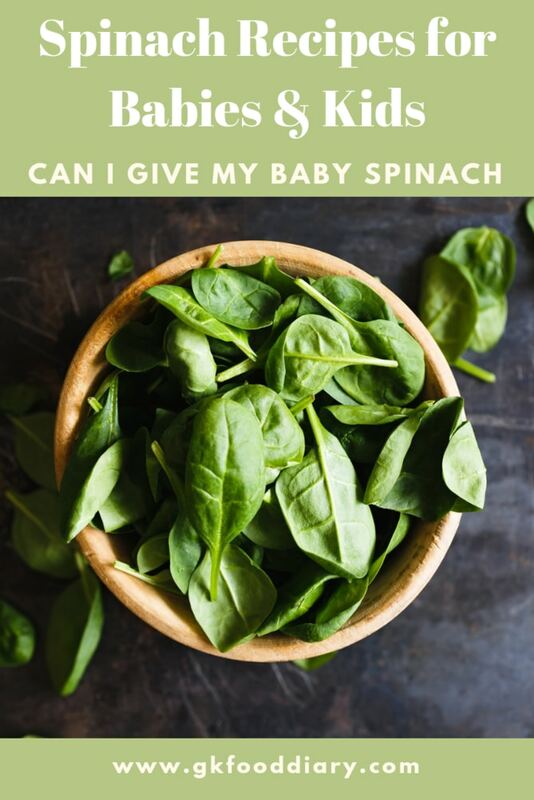 Spinach Recipes for Baby, Toddlers, and Kids - with information about the nutritional benefits and best Spinach for baby.